It has been two weeks since I did the big chop, and still no regrets. I am loving my decision to go natural, so much so I find myself touching my hair/curls a little more than normal (LOL). While most of the feedback has been very positive (thank you for the support). There has been some; let’s call them naysayers. To the “naysayers”, I understand your confusion. I understand that you are not familiar with someone who is comfortable with what the good LORD has made, that she flaunts her natural self with confidence and unrelenting strength. I truly understand YOUR dilemma, but I digress. · Cantu Shea Butter Leave-In Conditioner – this is an absolute favorite. The conditioner leaves my hair very happy, it doesn’t leave a feeling that my hair is coated with a sticky film that I have noticed with some other leave-ins. The conditioner keeps my hair moisturize through-out the day. · Beautiful Textures Moisturize Hair Butter – This product is amazing. It feels good, not too heavy, my hair soaks it up. Nice light smell, and very moisturizing. I cannot wait to try other products from this line. · Shea Moistures Curl Milk – one word; WOW. Talk about defining your curls. My curls are beautiful, shiny and it does not feel coated. I also haven’t noticed any frizz, and I don’t use any gel. · Organix Macadamia Oil Conditioner – Love, Love, Love. I use the conditioner as a co-wash each morning for my wash and go. After using it my hair feels soft and moisturized. I don’t even need a comb to detangle I can just use my fingers to comb through my hair. The product also does not alter my hair color. · B.A.S.K Silk & Honey Latte Detangling Hair Milk – Excellent product, one of my favorite products. The smell alone (nectarine vanilla scent-WOW) is beautiful, but the way it defines my curls is absolutely great. It gives me a looser curl than the Shea Moisture’s Curl Milk, which sometimes I am looking for; it also gives a nice sheen. Just purchase two more bottles in different scents. 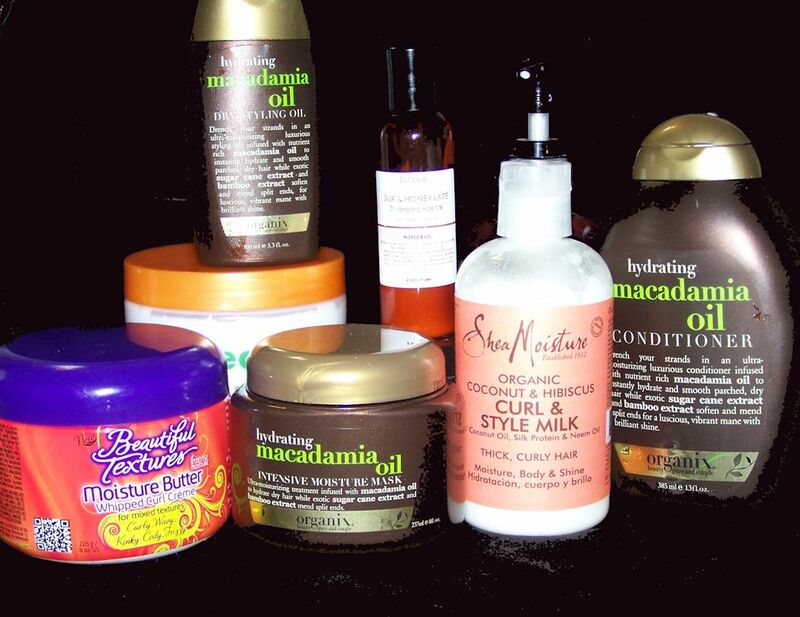 · Organix Macadamia Oil Dry Styling Oil – I use it to seal in the moisture and it gives an amazing shine. Side Note: I do not use all products at the same time, but have used them as a mixture of two or three products together. The outcome has been amazing.